Even though I’m watching what I eat I know that I need to allow myself some sweet treats as well. 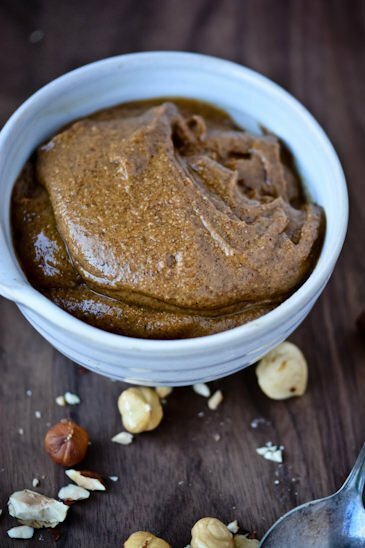 Nut butters are a great way to indulge with some healthy fats and satisfy cravings. 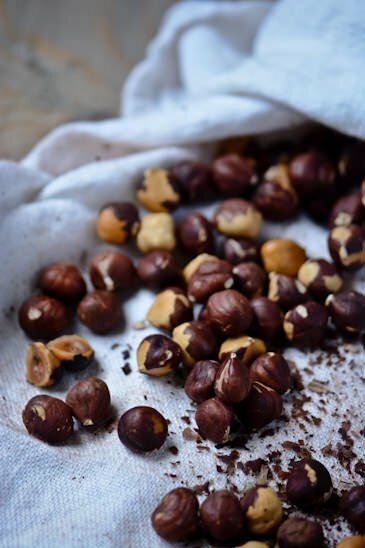 I love hazelnuts and usually store bought versions are really expensive. Whenever I see a good price on them in the bulk department and then refrigerate or freeze them until I’m ready to use them. I prefer to buy them raw and then roast them myself. I let them roast just to the point where they start to crack and blacken. 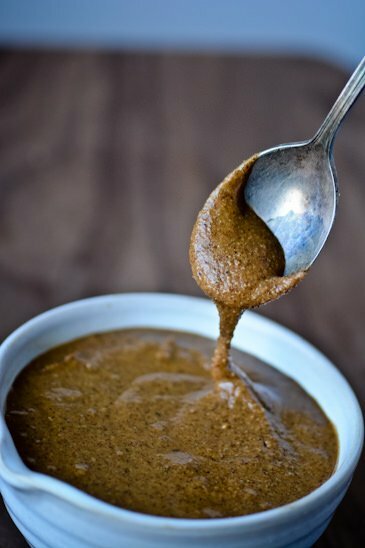 I remove the skins but don’t stress about getting them all off, I think they add a nice toasty flavor to the hazelnut butter. I love to eat it straight out of the jar with a spoon but it ‘s also delicious with apples or on toast. 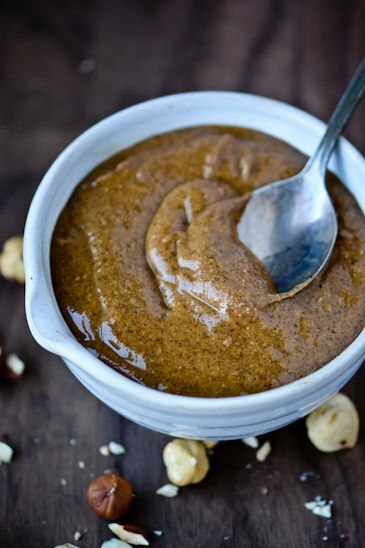 I also have the perfect recipe to share with you tomorrow that utilizes the hazelnut butter to perfection. Pre-heat the oven to 350 degrees. 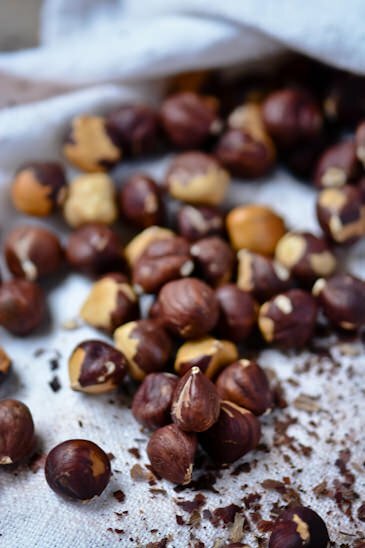 Place the hazelnuts on a rimmed baking sheet and cook for 15-20 minutes until the skins begin to darken and blister. let cool slightly and then place them in a clean kitchen towel. using your hands rub the skins off the nuts as much as possible but don’t worry if they don’ tall come off. Place the nuts, salt and cinnamon in the bowl of a food processor and process, scraping the bowl occasionally until the nuts first turn to a powder and then to butter. If you are using a blender add the oil along with the nuts. Add the honey and continue to process, if the mixture seizes up don’t worry continue to process for 3-4 minutes and it will loosen up again. Taste and add more salt or honey if desired. Tina, I’ve made this several times and I really love it. Your instructions to keep processing if the mixture seizes up with the honey is helpful. Because otherwise I would have stopped processing out of fear of it seizing up even more. Thank you!! I’m so glad you like it. I’ve had to take a little break from it only because I can’t stop myself from eating it. I’m always amazed at how it goes from this stiff, chunky mess to that smooth creamy texture. It’s like liquid gold! Liquid gold is a good description. I find that the deeper I roast it the quicker it turns into butter, and if I use less than 2 cups (using an 11 quart food processor) there’s not quite enough to process to fully turn it to liquid butter. Have discovered the flavors of persimmons or dried apricots go very well with hazelnut butter too! I totally agree with you. I like to take the hazelnuts just to the point where they are going to start to burn and then pull them out of the oven. I roast them even if my nuts are already roasted just to get that really deep flavor.